Jim Parsons, who plays Sheldon on The Big Bang Theory and stars in the new hit movie Hidden Figures, was recently at MoMath to film a segment for the Today show with Willie Geist. Course Corrections: Is High School Math Serving Society? Can it? Does it? Should it? See C-SPAN’s coverage of this MoMath event here. 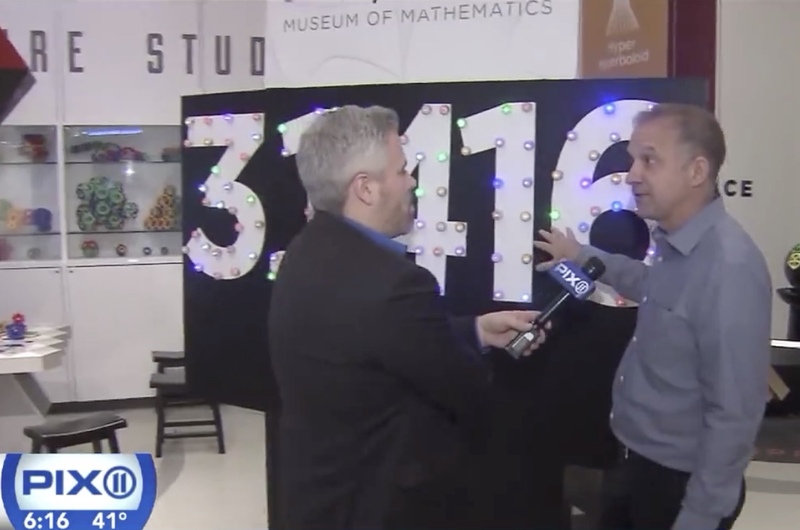 Most quirky, offbeat museums in the U.S.
Irrational Exuberance: How Will You Celebrate the Pi Day of the Century? Do You Have What It Takes to Be a Master of Math? Is America in a Math Crisis? Blue Telescope, the interactive exhibit agency, was given a 2014 HOW Interactive Design Award for Outstanding Achievement for the exhibit Human Tree at the National Museum of Mathematics.